Paris is the city of lights, and if you're looking to party late into the night, any of these hostels will offer you a good time. Whether you're a first time backpacker looking to meet other travelers, or you're a seasoned traveler looking to cut loose, these hostels are among the most social in the city. 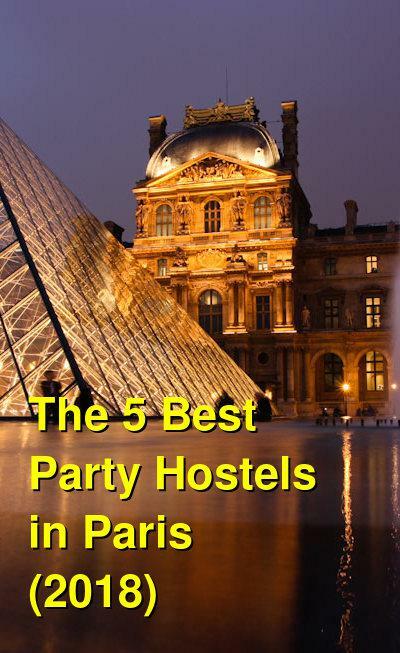 What are the best Party Hostels in Paris? This award winning hostel, just 2 minutes from Gare du Nord train station, offers fast free Wi-Fi and modern beds with privacy curtains. Also a continental style buffet breakfast is available every morning. The hostel is home to Paris' biggest international bar Belushi's, where you'll meet travelers and locals and receive 25% off food and 2 for 1 drink specials. Every room at St Christopher's Paris Gare du Nord includes heating, electronic key security, locker storage, private or shared bathrooms, and elevator access. The modern hostel 'POD' beds have curtains for extra privacy as well as comfort and are fitted with power plugs, USB chargers, and reading lights to help you rest and relax during your stay. Clean bed linen is provided and your bed is freshly made before arrival. Self-service laundry is available. A chill out room and internet lounge are available for guests use. Free city walking tour and Paris induction are available. 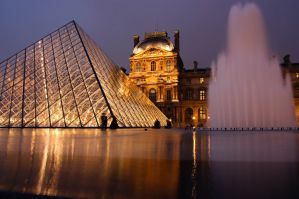 The onsite Travel Kiosk offers discounted trips in and around Paris - including day trips to Versailles, queue jumping tickets to the Eiffel tower, Montmartre tours, tickets to the catacombs. plus much more. If Paris isn't your final destination be sure to check out the tour desk for great discounts on bus tickets throughout Europe. Free city maps, linen, and towels are included with your stay. This eclectic hostel is popular with artists and poets who have traveled to Paris from all over the world. It has a unique charm and atmosphere, and although it's not got the loud party atmosphere that some of the early hostels do, it does have a wonderful clientele with a great social atmosphere where you can meet all kinds of people. It's popular with a variety of visitors including students, tourists, and backpackers. There are rooms that are a range of sizes with anywhere from one to six beds available. There is a common area, a kitchen, a cafe and no curfew so guests can come and go as they please. The hostel is also close to supermarkets, bakeries, a post office, the metro, restaurants and nightclubs. There's also a weekend flea market nearby. St. Christopher's Hostel is a self proclaimed party hostel that offers guests the opportunity to dance until late in the night. It has everything from live music and great parties in its popular Belushi's Bar, to fantastic views of the city. There are plenty of amenities available to guests including free wi-fi, linens, and complimentary breakfast. There's also a female only floor where girls can relax together in a more mellow atmosphere. Every week the hostel hosts a variety of events including Wednesday Karaoke, Friday Student Nights, and the Saturday Club Party. Both travelers and locals alike enjoy these events. This hostel is part of a chain that can be found throughout Europe. If you're a seasoned European traveler you've likely encountered this chain at least once before. The facilities here are modern and reliable and the reputation holds true in the Paris franchise. 3 Ducks is housed in a former 18th century coaching inn considered to be a historical monument and is protected by Les Batiments de France as such. Founded in 1987, the 3 ducks is the oldest private hostel in France. These almost 30 years serving millions of travelers around the world have earned the 3 ducks its international reputation for its lively and friendly atmosphere. Today the 3 ducks today offers all amenities a traveler could expect including rooms with shower and toilet, hairdryer, Wi-Fi, safe, reading lamp with USB ports, and air conditioning, all in a uniquely decorated environment. With its magnificent outside terrace and exclusive services the 3 ducks hostel is likely the most comfortable and well-designed hostel in Paris. The property is only a 15 minute walk to the Eiffel Tower. As the Three Ducks has a licensed bar, the hostel does not accept youth under 16 years old. Free maps of Paris, breakfast, Wi-Fi, and linens are included with your stay and towels are available for hire. With a great location in one of the most exciting neighborhoods in Paris, this hostel is a great place for those looking for a good time. It sites at the foothill of the Montmartre area and is close to cafes, clubs, bars, and eclectic musician and artist hangouts. The hostel offers guests all kinds of amenities including free breakfast, wi-fi, luggage storage, and free tours of the city. There's also a full kitchen that guests may use. The hostel is popular for it's party atmosphere, but it also offers a cozy and comfortable setting. It's a social setting where guests regularly hang out in common areas and chat. Although this hostel is a party hostel, it's much more laid back than the others listed here. It's more social than loud, so it offers guests a perfect combination if they're looking for a place to meet fellow travelers, but also get some sleep at night.